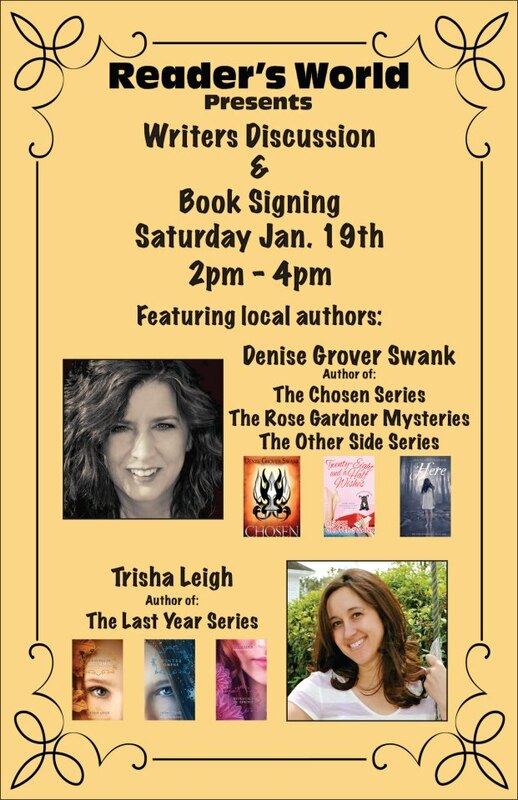 I am THRILLED to announce that Trisha Leigh , author of THE LAST YEAR series, and I will have a book signing on January 19! If you are in the Kansas City area, we’d LOVE for you to stop by. We’ll be talking about working together as critique partners as well as giving away DOOR PRIZES!!! Tote bags, book inspired jewelry by local designer Autumn Markly (You can see one of the pieces at the top of my purchase page) and mugs. If you want to purchase books to be signed, we suggest you tell us so we can make sure we have enough copies. We also have a Facebook event page if you want to join. We’ll be posting updates as well as pictures of the door prizes.